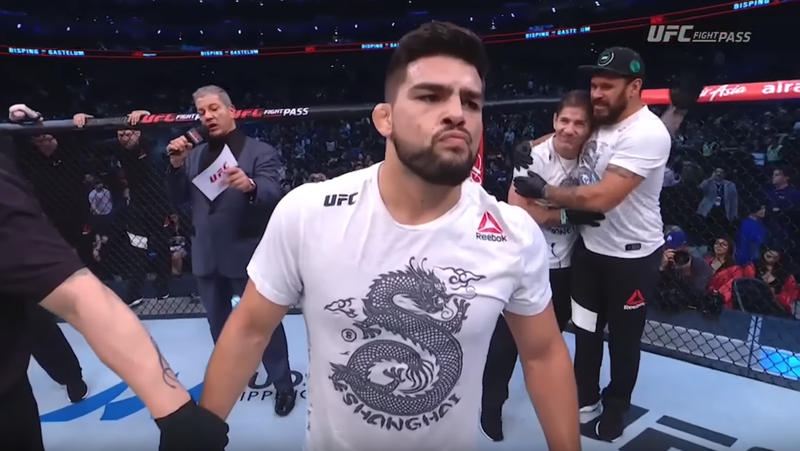 When the main event of UFC 234 has been called off, many thought that Kelvin Gastelum was forced to pull out due to a staph infection, but instead it was in-fact UFC middleweight champion Robert Whittaker, who suffered a freak hernia. Speaking about the infection he suffered with Ariel Helwani, Gastelum thanked the UFC medical team for getting him ready for a fight that would end up being cancelled. One person who was not a fan of letting Gastelum compete with the staph was former UFC featherweight and lightweight champion, Conor McGregor, who let the world know as much on Saturday night. “I was fighting this staph infection on my face, on my body, the entire week,” Gastelum said about fighting his body to keep his title shot. “I was on antibiotics the entire week fighting this thing. The UFC doctors were gracious and handling it well and they were real happy with how the infection on my skin was going away and it’d be okay to fight. The commission was okay with letting me fight. Everything was on track, man. It was just devastating. To go through all that process, to go through all that work and not be able to fight and compete, man, it was horrible. . .